Dish of the week • Lasagna Classica ($11). (Francisco Kjolseth | The Salt Lake Tribune) Lasagna classica with bolognese sauce from Terra Mia Italian restaurant in Draper, a sister restaurant to Terra Mia in Orem. It’s absolutely true that you can taste the difference in food made with love. If that’s not something you’ve experienced before, the Lasagna Classica at Terra Mia Cucina Italiana in Draper will fill the gaping hole in your heart — and stomach. The recipe dates back at least two generations, handed down from grandmother to grandson (the restaurant’s owner) — both native Italians. With six layers of noodles, various cheeses and a hearty Bolognese that takes six hours to make, the casserole hit every marker perfectly. Eating it, you almost feel like part of their family. Terra Mia Cucina Italiana • 12361 Minuteman Drive, Draper; 801-571-4779 or http://terramiapizza.com/. Open 11 a.m. to 2 p.m. and 4:30 to 9 p.m. Monday through Saturday. 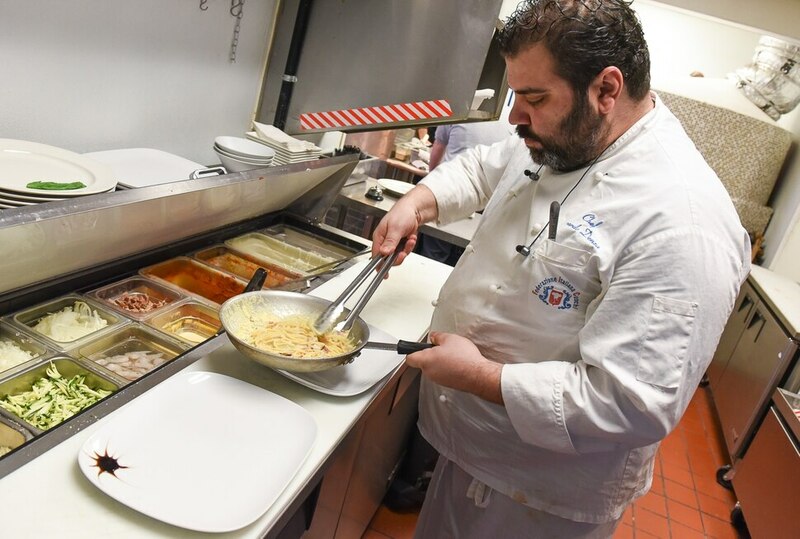 (Francisco Kjolseth | The Salt Lake Tribune) Chef Gerardo Denzo prepares an order of spaghetti alla carbonara with bacon, onion, cream and egg at Terra Mia Italian restaurant in Draper, a sister restaurant to Terra Mia in Orem. 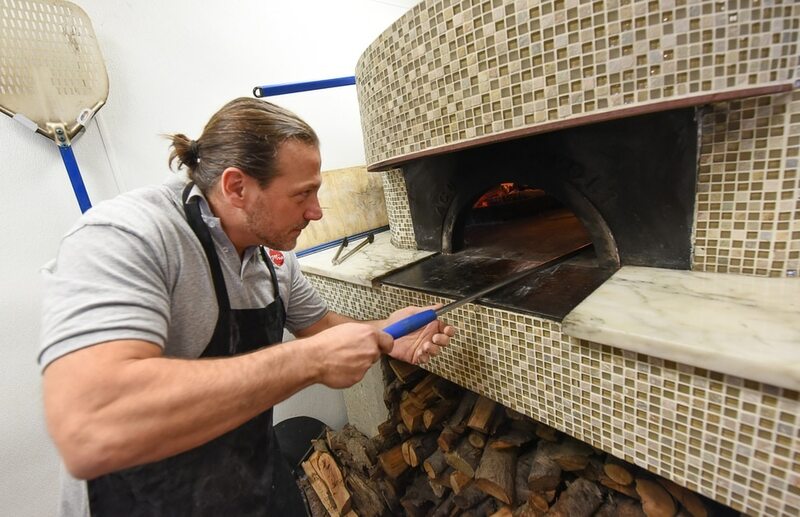 (Francisco Kjolseth | The Salt Lake Tribune) Ernesto Lo Russo, chef and owner of Terra Mia Italian restaurant in Draper, a sister restaurant to Terra Mia in Orem, rotates a wood fired pizza to reach perfection for customers during a recent lunch hour. 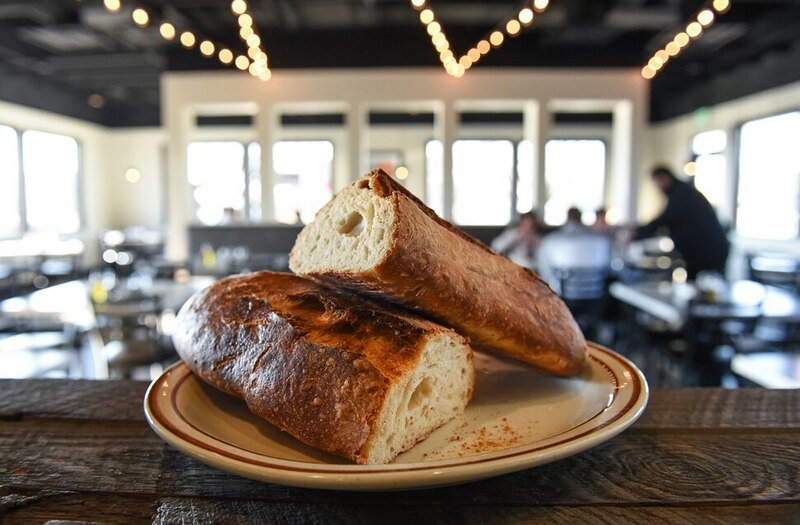 (Francisco Kjolseth | The Salt Lake Tribune) Freshly made in house paesano bread from Terra Mia Italian restaurant in Draper, a sister restaurant to Terra Mia in Orem. (Francisco Kjolseth | The Salt Lake Tribune) Chef Guliani Luca prepares a Margherita Pizza at Terra Mia Italian restaurant in Draper, a sister restaurant to Terra Mia in Orem. (Francisco Kjolseth | The Salt Lake Tribune) Focaccia Americana featuring BBQ sauce, onion, chicken breast and mozzarella from Terra Mia Italian restaurant in Draper, a sister restaurant to Terra Mia in Orem. (Francisco Kjolseth | The Salt Lake Tribune) Ernesto Lo Russo, chef and owner of Terra Mia Italian restaurant in Draper, a sister restaurant to Terra Mia in Orem, converses with customers during a recent lunch hour. (Francisco Kjolseth | The Salt Lake Tribune) Focaccia Americana featuring BBQ sauce, onion, chicken breast and mozzarella from Terra Mia Italian restaurant in Draper, a sister restaurant to Terra Mia in Orem. (Francisco Kjolseth | The Salt Lake Tribune) Tomato basil soup from Terra Mia Italian restaurant in Draper, a sister restaurant to Terra Mia in Orem. (Francisco Kjolseth | The Salt Lake Tribune) Caprese salad with fresh in house made paesano bread from Terra Mia Italian restaurant in Draper, a sister restaurant to Terra Mia in Orem. (Francisco Kjolseth | The Salt Lake Tribune) Lasagna classica with bolognese sauce from Terra Mia Italian restaurant in Draper, a sister restaurant to Terra Mia in Orem. 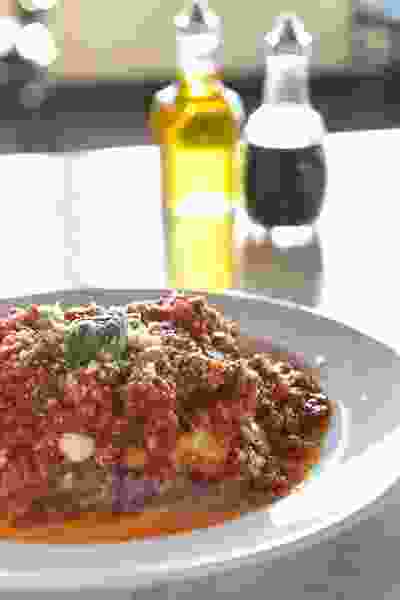 (Francisco Kjolseth | The Salt Lake Tribune) Terra Mia Italian restaurant in Draper, a sister restaurant to Terra Mia in Orem, offers a fresh taste of Italy.